The help of our supporters allows us to work with over 100 individuals, couples and families every day who are homeless or at risk of becoming homeless across the Midlands region. 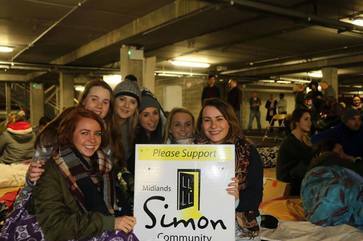 Midlands Simon Community works with individuals experiencing or at risk of homelessness every day of the year and it is the ongoing support of our donors and members that makes the difference. A kind donation of time or money can go a long way to helping someone in your local area on their pathway out of homelessness and ensuring that they have the continued support they need along their journey.